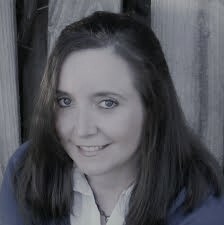 We review a lot of books in our little corner of the world--ranging from paranormal fantasies and romance novels to Christian inspiration and motivational self help books. 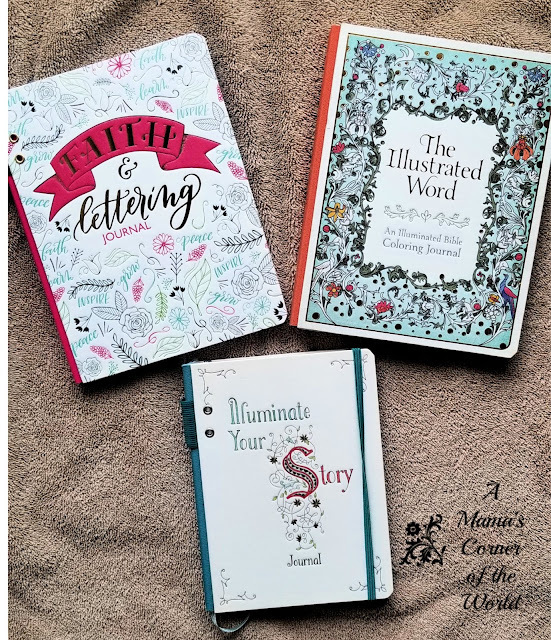 While we love reading--we also love journalling and we have had the opportunity to review a few Ellie Claire Art Journals just in time for holiday gift giving! 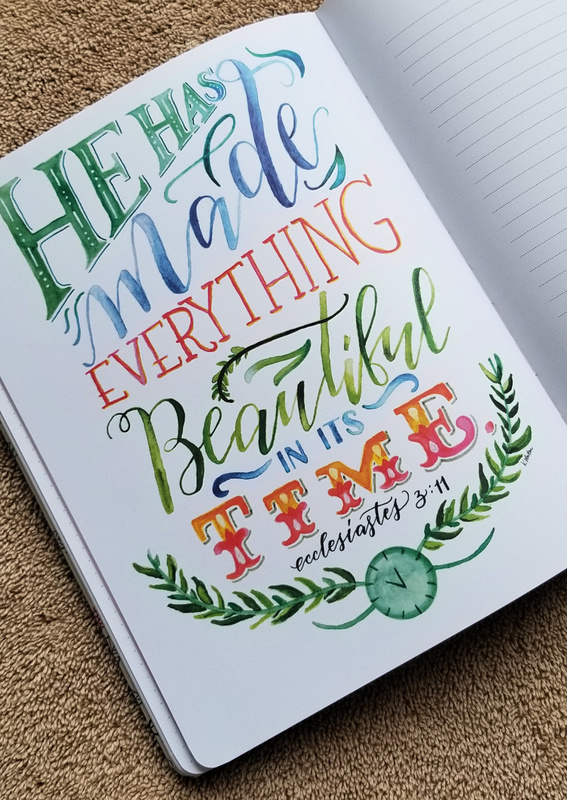 What did I think of the Ellie Claire Art Journals that I was able to review? I received a complimentary copy of each of the journals featured here from the publisher for use in my review. All opinions are my own. 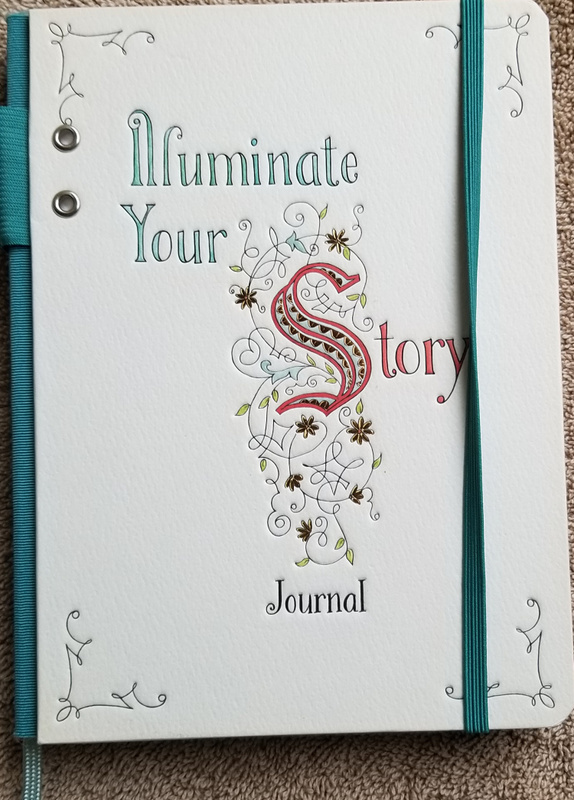 This art journal serves multiple functions : It offers readers a space for spiritual reflection, it offers faithful users a space for creativity, and it teaches various lettering and creative journaling techniques along with space to practice and incorporate those techniques into a day's journal prompt. The Faith & Lettering Journal is well constructed, and it is sturdy with thick pages suitable to a variety of art journal drawing media. 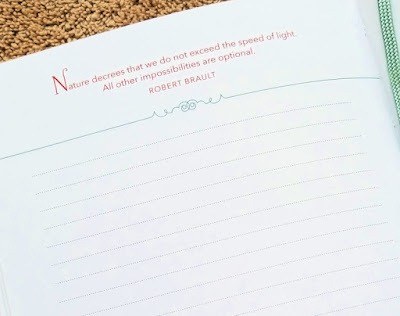 There are so many journalling skills to learn through this journal! I do think it is an art journal for those with good eyesight and a steady hand--or some of the flourishes and letter art may be a bit difficult to reproduce. 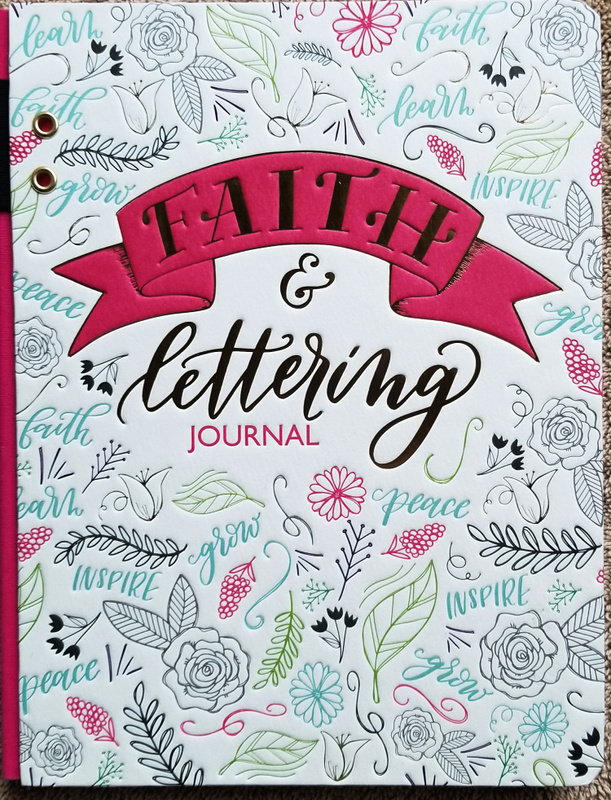 Having said that, I would recommend it to those seeking to learn new lettering techniques and practice their hand at journalling within a spiritual space. This art journal offers users, in my opinion, the most advanced journalling technique practice of the three art journals I am sharing here. Illuminating letters, adding dimensional elements, learning to draw animals and various objects to adorn the letters--all are presented throughout the journal space--along with inspirational quotes from Scripture and famous motivators to offer readers a lot of journal ideas in a small space! I think the Illuminate Your Story art journal is designed for the more dedicated artist or journalling enthusiast. The practice spaces within the journal are a bit smaller than the space in the other two journals and the dot patterns for guiding the design reproductions are a bit faint in color--which would make this a bit more difficult to use for some journal artists. Having said that, this book is very well constructed, the step-by-step instructions for the lettering techniques are easy to follow and it has both a pen loop, ribbon bookmark and a keepsake pocket inside. 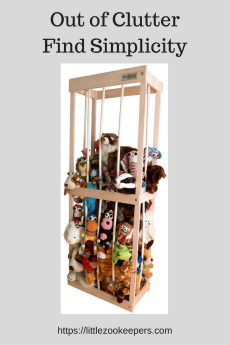 I think this was my favorite of the three art journals. 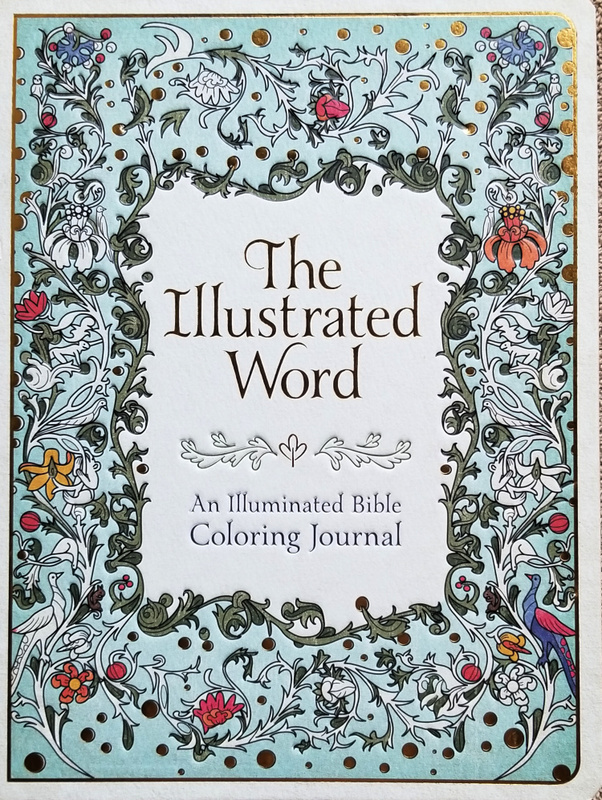 I enjoyed the format and variety of the pages offered in the coloring journal. The pattern of pages repeated throughout the journal and offers both references and journal sheets inspired from works from the archives of the Museum of the Bible. The pages are thick enough to use gel pens or liquid coloring tools as well as colored pencils. The color page patterns range from simple to intricate--and all surround a few pages of lined journal pages. 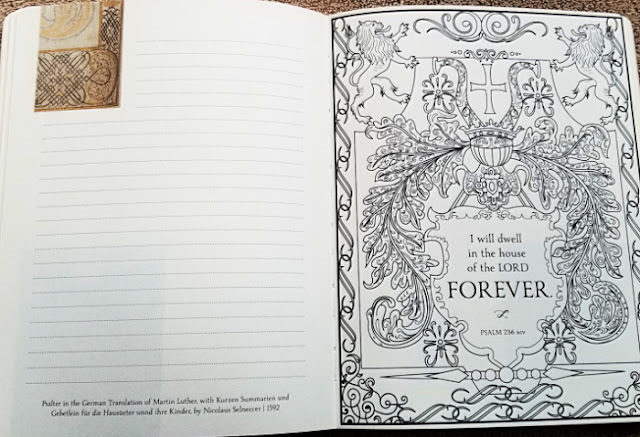 In spite of the fact that this journal does not have any extra embellishments (like a pen loop or a keepsake pocket)--I think it would make the perfect gift for older tween/teens or adults who enjoy coloring journals and passages from scripture. All in all, I loved the quality of the three journals reviewed here--and will certainly be offering them as gifts during the holidays this year to my journal-loving family and friends. If you enjoy learning new journalling techniques--and enjoy journals with a Christian/Faith design element--I think these art journals are the perfect addition to your journal stash! To learn more about Ellie Claire Art Journals and to check out other available journal designs, visit the Ellie Claire website or follow Ellie Claire Gifts on Instagram.